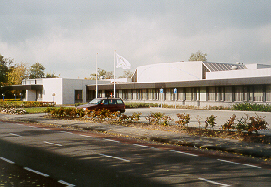 Dicar Europe B.V. was founded on 29 June 1976 in Oldeberkoop under the name of Container Technics. Dicar Europe B.V. is registered with the Chamber of Commerce number 01039239. 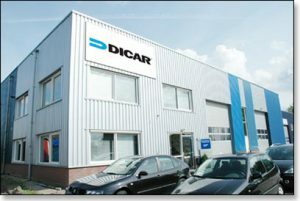 The information you will find here is about Dicar Europe B.V. Dicar BV is part of Dicar Inc in the USA. Dicar Europe BV – producer of Polyurethane materials for the packaging industry. Anvil covers, Wheels, Scratch pads, Diemaking materials, SafetySteps, EcoTab waste removal system, Diemaking tools, Ejection rubber, SpeedStraps, Feeder wheels, machine parts, knives, cutting and creasing rules and profiles, posilock Hoops, Texo bars, AnviLatch, Dura Sucker, Doctor blades, Mechanical stripping machines parts, Unique Dieroom equipment, Imabt knives and parts, 2-90 score, Dicar Superglue, Dura Corner Removal tools, PU Hammer, Rawhide Hammer, grinding disks, are all products that can be supplied by Dicar BV. Dicar BV has it’s own warehouse where most of the articles can be shipped within the same day! 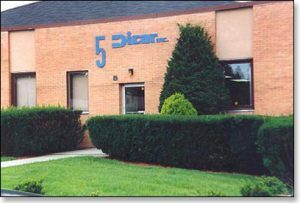 If you want to know more about the history of Dicar Inc look at the content page.